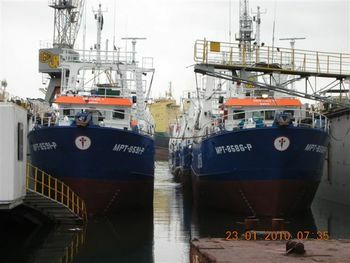 ALBINO MORAN & PARTNERS SHIPBROKERS is very proud to be the broker of the partnership between AMASUA GROUP and CHINA NATIONAL FISHING CORPORATION ( CNFC) into the fishing company KRUSTAMOZ which owns ten (10) modern shrimp vessels , processing and cold facilities onshore and the corresponding fishing quotas. CNFC has bought into KRUSTAMOZ , a shrimp fishing subsidiary of AMASUA's based in Mozambique , and jointly will carry out the explotation of the fishing grounds and will cooperate in a range of fishing interests. 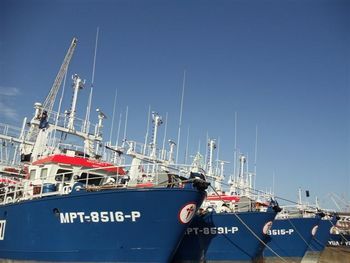 CNFC is the largest fishing multinational company in China and one of the largest in the world. 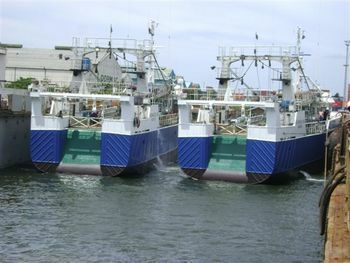 AMASUA , one of the Spain' s largest fishing companies, is also a multinational conglomerated of companies, involved in the seafood sector ( extraction , processing and marketing) for over 45 years.